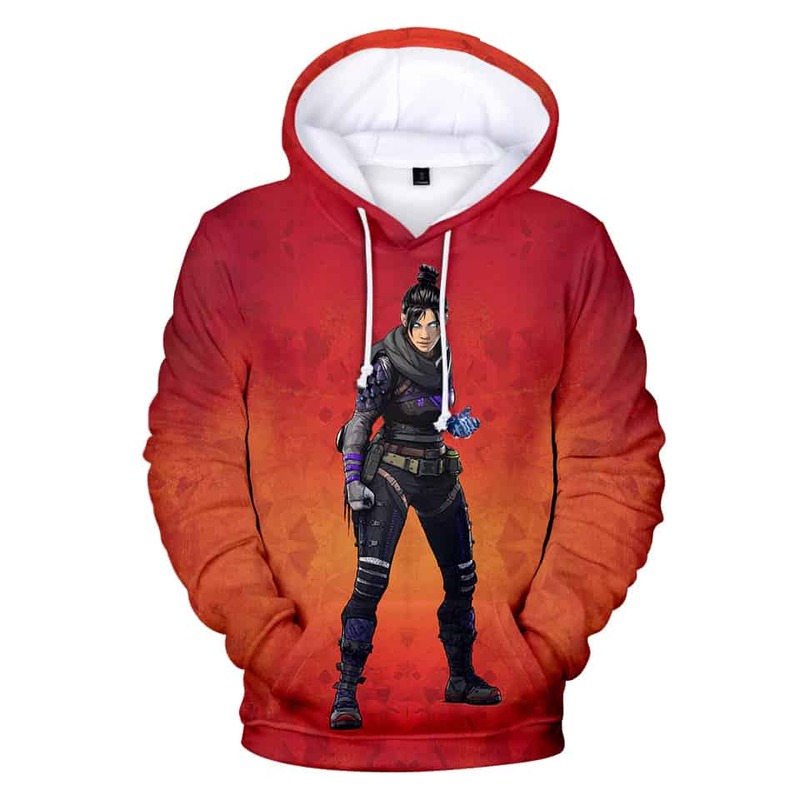 Wraith Apex Legends Hoodie features Wraith on a red background. Wraith is known for being a fierce fighter who has the power to manipulate reality! One of the most powerful legends, she joined Apex Games to learn the truth about her history. This hoodie features a graphic of Wraith clenching her fist.